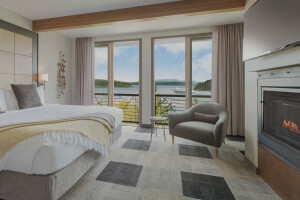 This charming and modern inn features 15 individually decorated condos for rent with views overlooking the bay at Eastsound. Specializing in vacation rentals, cottages, and condos for rent on the beautiful Lopez Island in the San Juans. Boasting the most vacation rentals on the islands, take your pick from a condo, cottage, or rental home on either San Juan Island or Orcas Island. This boutique hotel features luxurious condo style suites, guest rooms, and penthouses. Close to the Friday Harbor Ferry, this unique property is modern and eco-friendly.